Preparing your kids for the start of a new academic year is a daunting, difficult and expensive task. Every year, the list of what’s needed seems to grow, causing headaches and more financial woe. Thankfully, at Studio, we give you the option to spread the cost of your purchases, meaning you don’t have to pay anything up front! The last thing you want is to send your child to school unprepared, so we’ve put together a checklist below containing everything your child could need for the new school year. 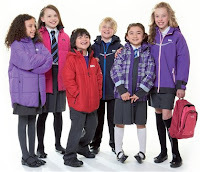 We’ve got a fabulous selection of uniform items in stock, from skirts and summer dresses to cardigans and trousers, all designed to make your child look ready and raring to learn. Our range of kids’ shoes and trainers are made from the highest quality materials, meaning they can withstand a great deal of bumps and scrapes and last for a longer period of the academic year. Brands include Hello Kitty, Skechers, Pineapple, Goody 2 Shoes, Kickers and more. A good quality, spacious bag is essential for the start of the new academic year. Your child needs somewhere to store books, stationery, food, gym clothes and more! All our messenger bags and rucksacks offer plenty of space and are built to last. 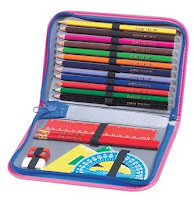 There’s nothing worse than having to borrow pens and pencils on the first day of a new term, so make sure your child is fully stocked up with our fantastic selection of stationery products.